Grab your drums -- or empty coffee cans -- and bring the kids out for the free kick-off event of the Saskatoon Reggae and World Music Festival, August 12 from 6 to 9 p.m. at the River Landing Amphitheatre. 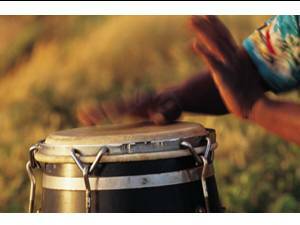 The open-air event will feature African drumming and dance with local Ghanaian drummer Joseph Ashong, hip-hop dancers from def Sol Productions and salsa dancing performances and instruction from Saskatoon Salsa. There is also an all-ages event on Saturday, Aug. 14, at Rotary Park from 10 a.m. to 10 p.m. Tickets are $10 for a come-and-go all-day pass. Kids 12 and under are free. Identification is required. Click here for more ticket info. Thanks so much for sharing the Festival info on this site Laura. Really appreciate it!